Contact the company for shipments information. Young and soft, the Terre di Perseto grappa is obtained from the selection of the best grape marc suitable to produce Chianti Classico wine, it is distilled and bottled on our behalf by a local distillery. Crystalline grappa with a stimulating and persistent bouquet. Intense flavor, balanced with slightly fruity final sensations. 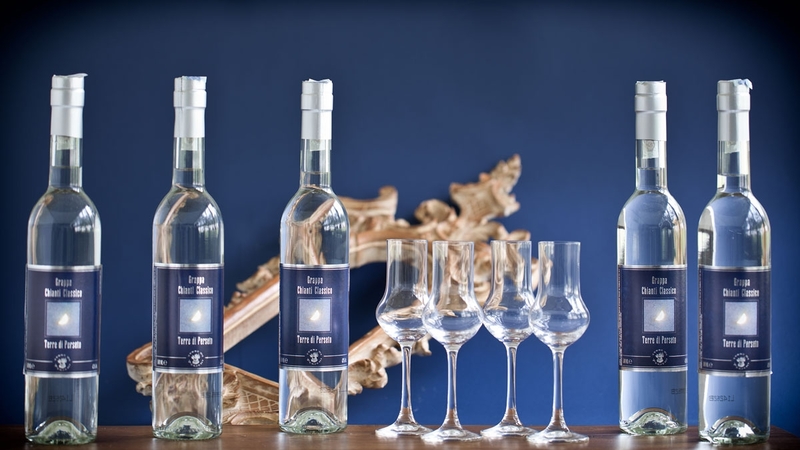 Terre di Perseto’s grappa is obtained from the selection of fermented pomace of first pressing. It’s distilled in continuous alembic.